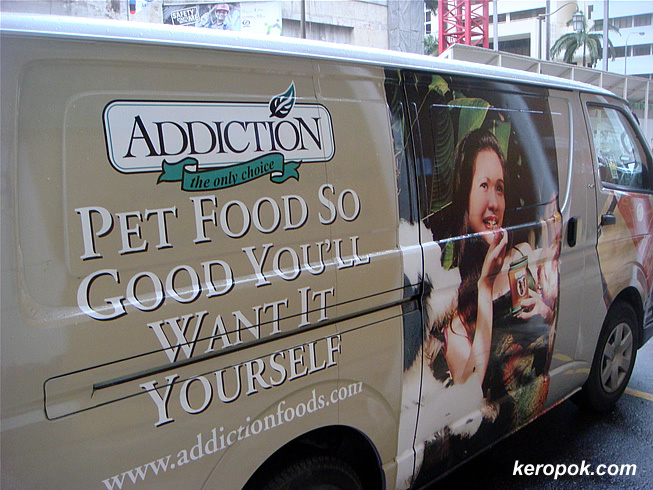 'Boring' Singapore City Photo: Addiction Pet food? I walked past this van with this advert and I thought it looked weird. A lady eating from a can, then I saw the word pet food. i've tried dog and cat biscuit when i was young and stupid and my friend dared me. dog biscuits are pretty tasteless, but the cat biscuit was nasty.